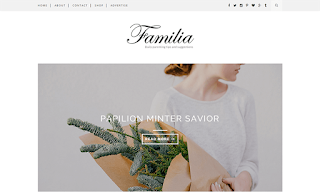 Familia Blogger Template is a fresh, minimal, clean, modern and feminine Blogger Template with responsive web design. It will look great on any blog like fashion, beauty, travel, lifestyle blog etc. Our all Blogger templates are made to support Blogger default customisation tools – so you can change fonts, links, header, background, menu bar and etc. It also comes with a featured slider and many beautifully designed custom widgets which makes it complete feminine Blogger Template.